Lil Yachty and deadmau5 are caught up in an unexpected Twitter feud after the rapper revealed his dream of making a big EDM hit last night (May 14). The Canadian producer immediately shot down the idea, and the pair have been going back-and-forth at each other ever since. 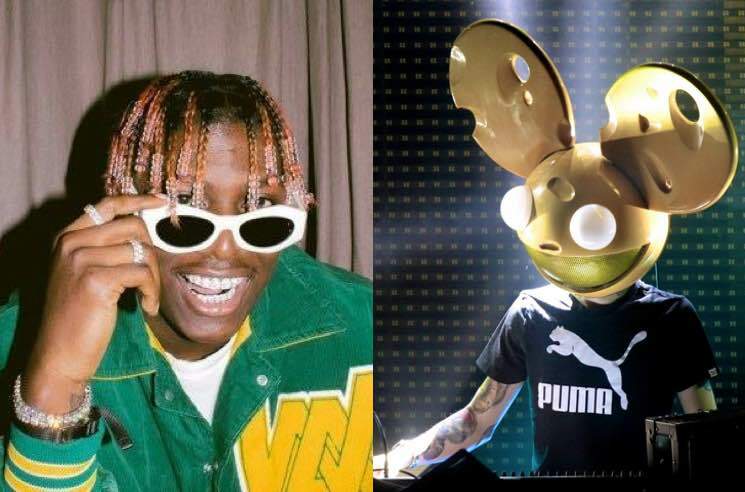 It started innocently enough, with Yachty's profession of interest in making an EDM track, but devolved pretty quickly when deadmau5 rejected the idea of a collaboration without even being asked. Deadmau5 tried to clear the air by offering to join Yachty for a game of PlayerUnknown's Battlegrounds, but the rapper fired back with a different suggestion. Deadmau5 didn't take to kindly to it, tweeting about the online altercation into the night. Breh are you even relevant bro? Brah relevent bro. Bitchass breh bra. Bro. That's about the entirety of my mentions for the next 12 hours. Hilariously, plenty of other people have weighed in on Lil Yachty's EDM ambitions — including James Van Der Beek's fake What Would Diplo Do Diplo account. Yachty hasn't given up his EDM dreams, though. He shared his email address and is currently soliciting beats from willing collaborators. So far, he seems to be getting a wealth of support for the idea. Just don't expect "Sandstorm" mastermind Darude to get in on the action.